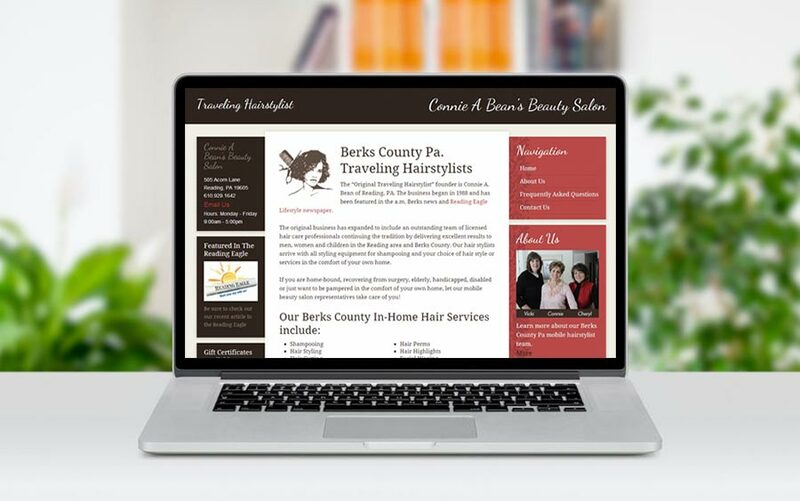 This was a fun smaller project I took on for Connie Bean’s mobile hair salon located in Berks County Pa. BerksMobileBeautySalon.com main focus was to provide information to customers in an elegant easy to read format. No fancy social media, or other tricks with this project. The focus was on clean, simple, elegant design. But I did design this on a mobile responsive platform, which means the site is very easy to view in any mobile phone, Ipad, or similar device. The screen size adjusts based on the visitors mobile browser size. If you have a chance, check out this elegant design, especially on a mobile phone!